We require all Bachelor’s applicants to hold a high school diploma or equivalent. 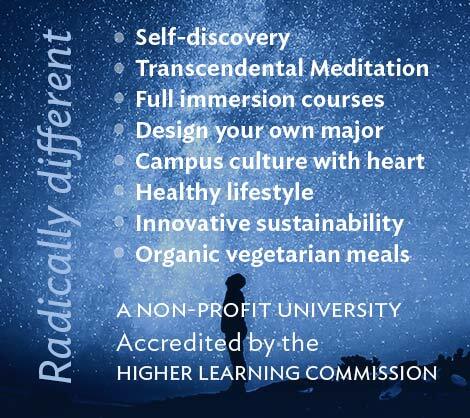 Learn the Transcendental Meditation® technique. Students entering the one-year day program are recommended to learn the TM technique before enrollment. 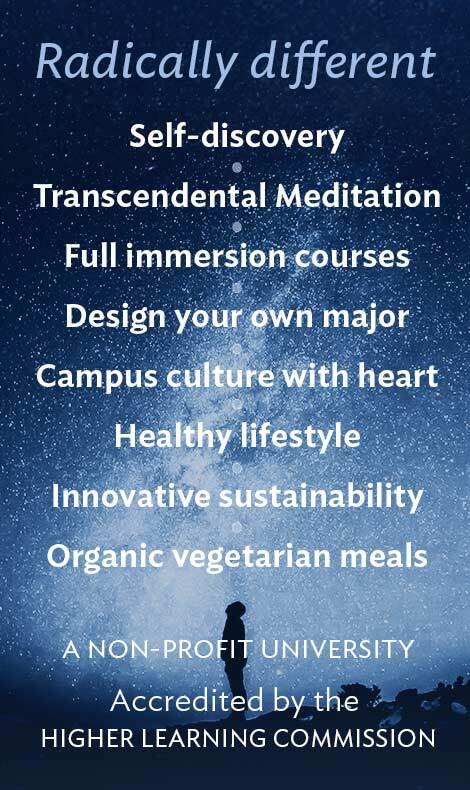 Otherwise, they will receive instruction in the Transcendental Meditation technique within their first week of class. Students entering the three-year evening/weekend program must be practicing TM before enrolling. Find out more about TM and how to learn it by visiting www.TM.org or asking your admissions counselor.